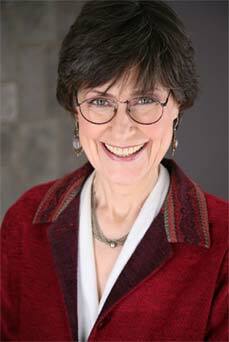 Susan Schulherr, LCSW, a licensed clinical social worker, has lived and worked in New York City for over 40 years. In her private psychotherapy practice she has treated couples and individuals for the last three decades. She has also provided extensive supervision and training for other clinicians. Susan's chapter on treating binge eating disorder appears in the 2005 book, EMDR Solutions: Pathways to Healing (Norton). Her article, "The Binge/Diet Cycle: Shedding New Light, Finding New Exits," was published in Eating Disorders: The Journal of Treatment and Prevention (1998). Susan has presented workshops on eating disorders at the local and national levels. She has spoken on various topics related to weight and eating to both professional and non-professional audiences. Susan grew up in Portland, Oregon. She received her undergraduate degree from the University of Chicago and a social work masters degree from Columbia University. She was trained in the treatment of families and couples by Salvador Minuchin, MD, at what is now the Minuchin Center for the Family therapy, and by Stan Tatkin in his PACT model for the treatment of couples. Susan currently assists with PACT training. She also received training at the Center for the Study of Anorexia and Bulimia in New York City. Susan has extensive experience in the trauma specialty approaches of EMDR and Somatic Experiencing ®.